D'Arcy has been playing guitar since 1967. In 2003 he took up the bass. 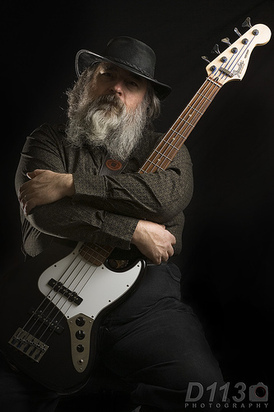 A relative newcomer to professional playing, D'Arcy has been performing with many local musicians for a few years now and is considered by many to be a solid bassist. D'Arcy plays a Fender five-string Jazz Bass with flatwound strings and an El Degas P-Bass copy with DiMarzio pickups through a Peavey Bass Mark IV head with a Yorkville Y115B cabinet.